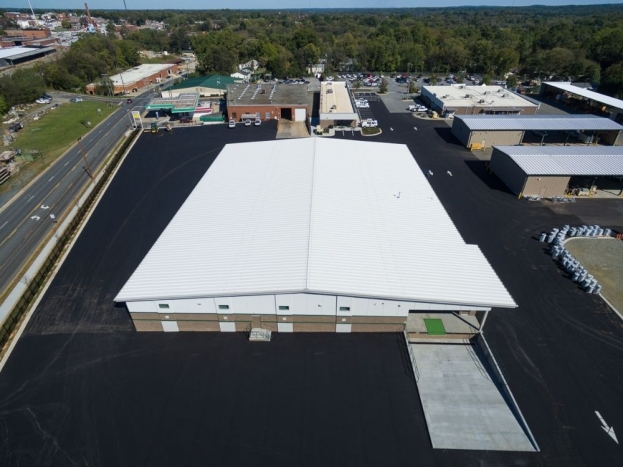 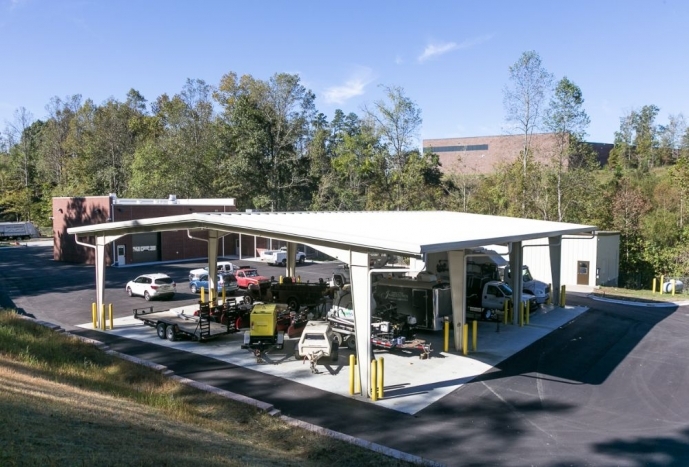 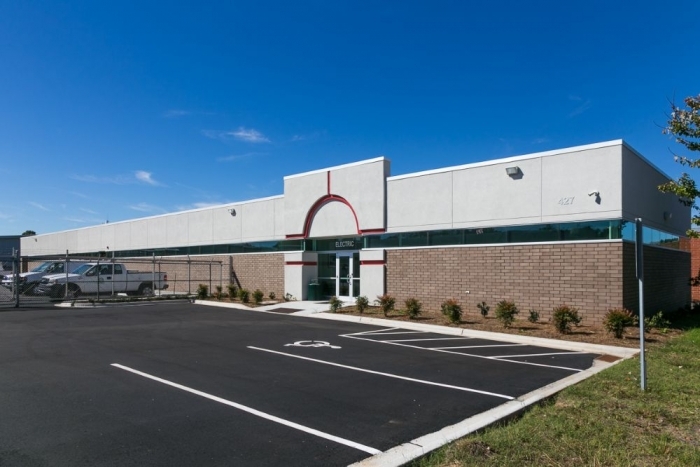 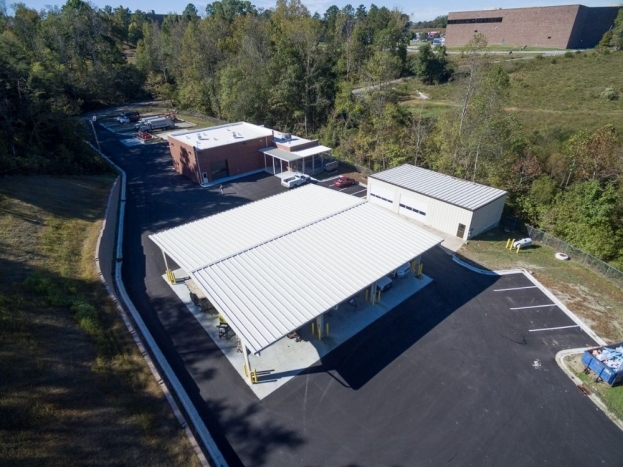 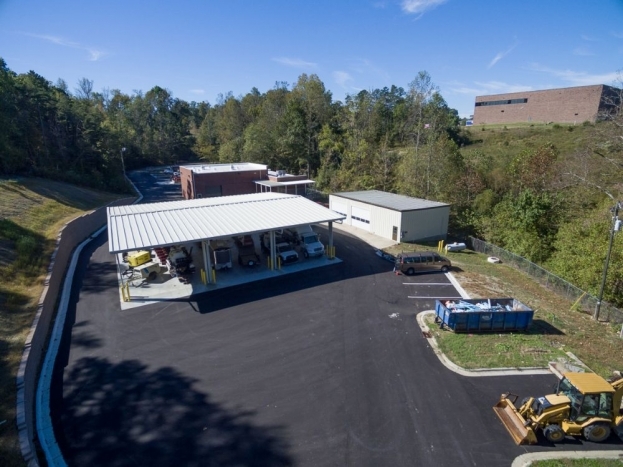 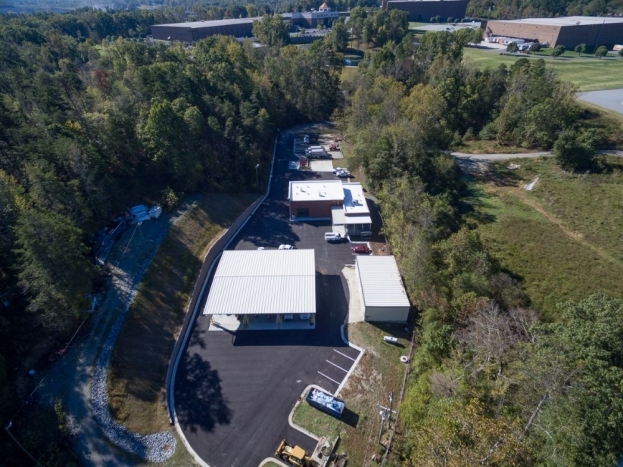 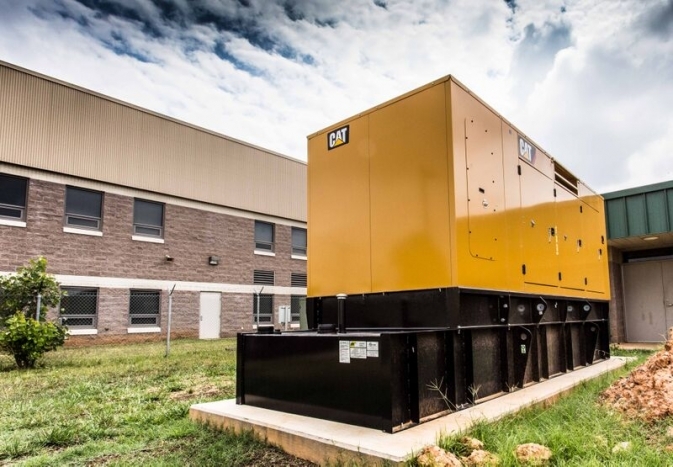 Description The project consists of the construction of a 5,500 Square Feet equipment shop addition and a 1,200 Square Foot office addition to an existing equipment shop in Sanford, NC. 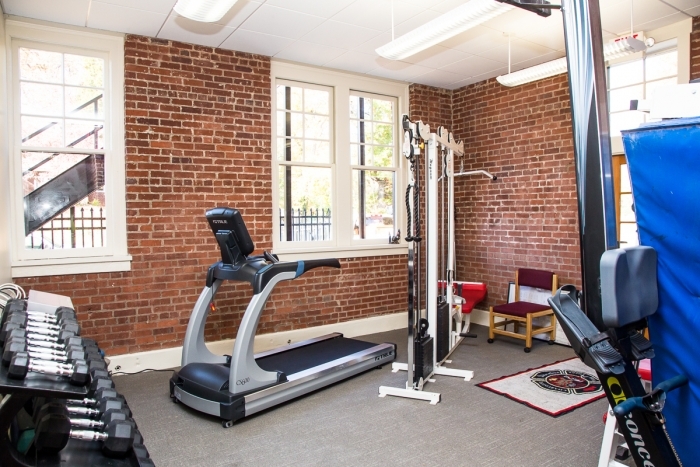 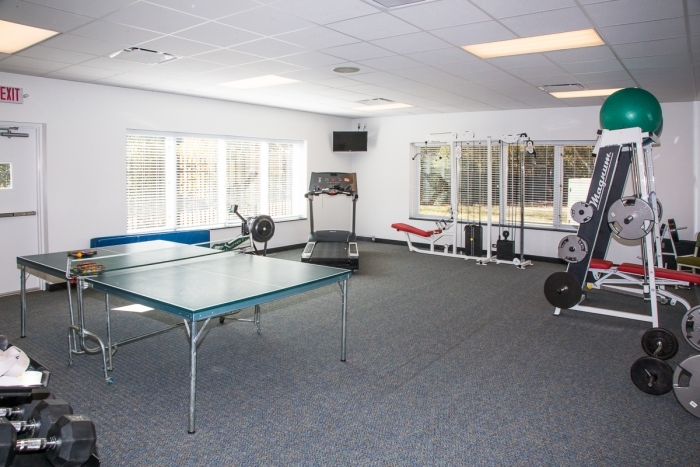 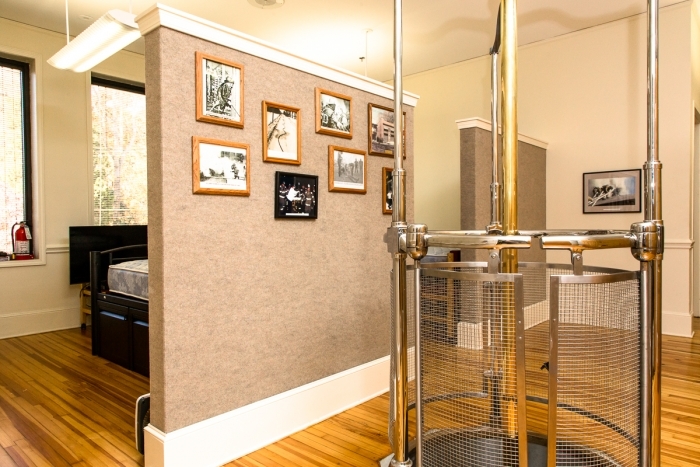 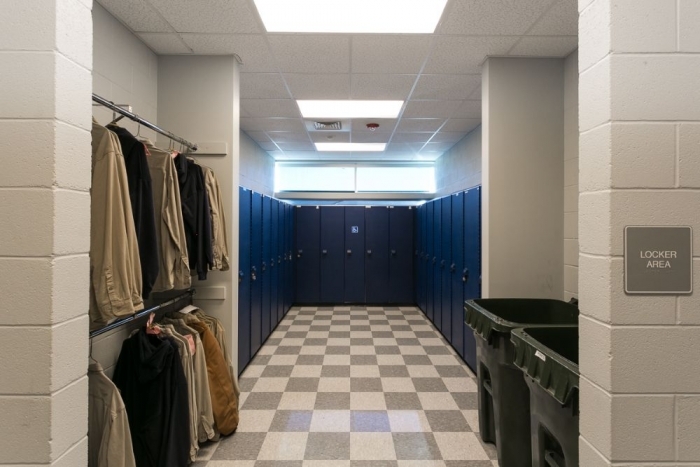 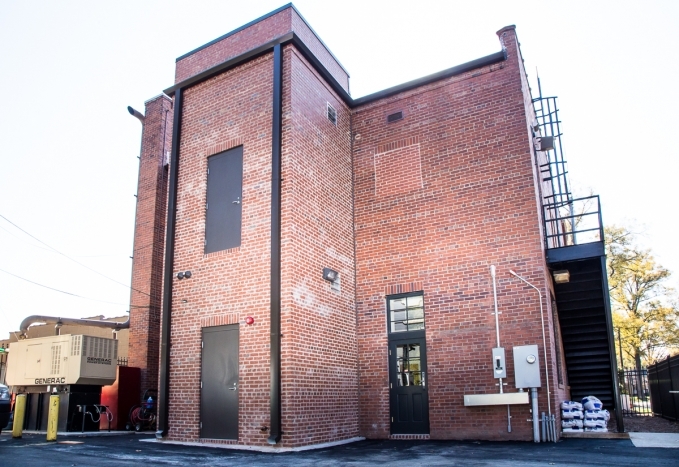 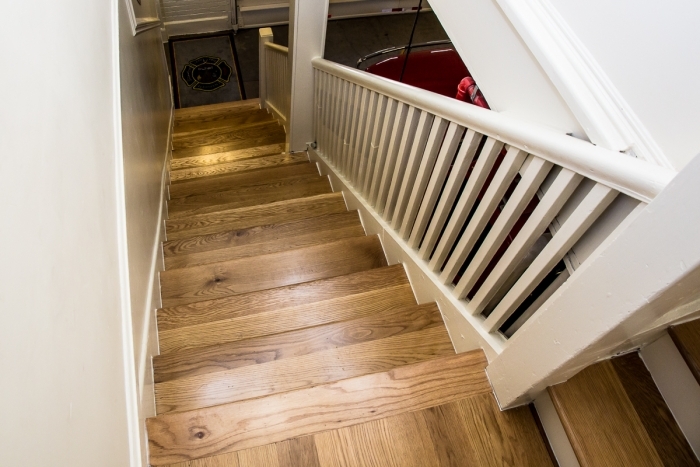 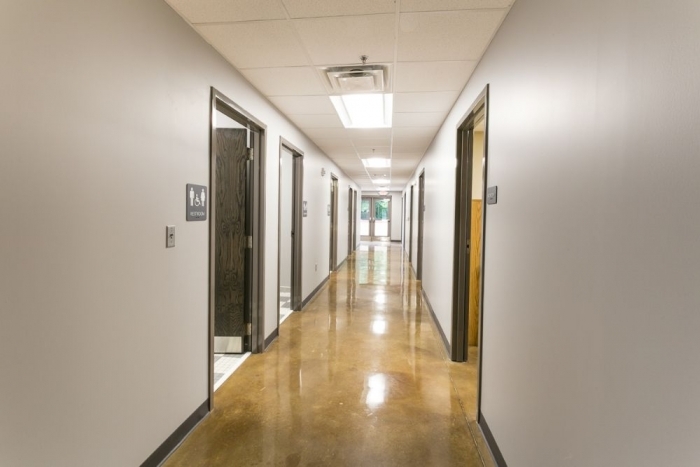 The existing building which is approximately 1,800 Square Feet was completely renovated on the interior and exterior. 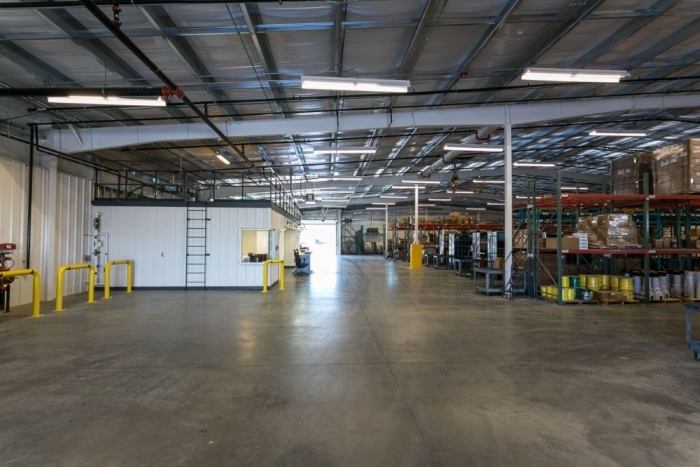 The project include sitework, mechanical, plumbing and electrical scope of work. 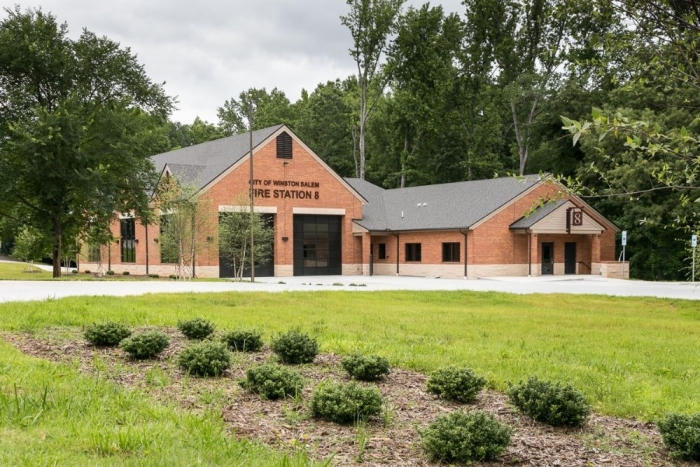 Brief Description Addition to Fire Station Including a new fitness room along with restrooms and locker room. 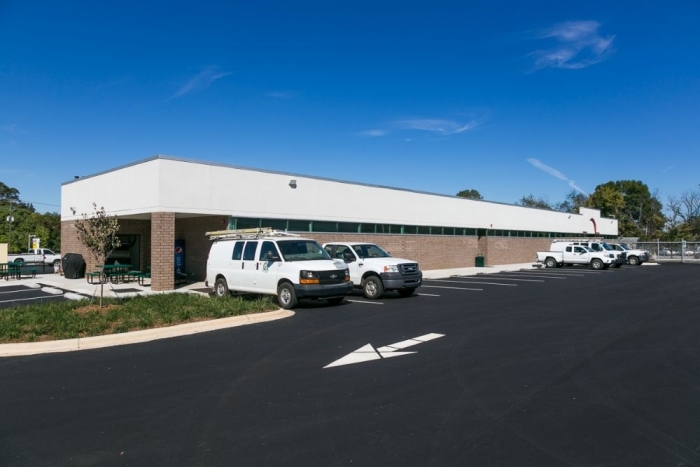 The work include a new MEP system and new landscaping to the exterior. 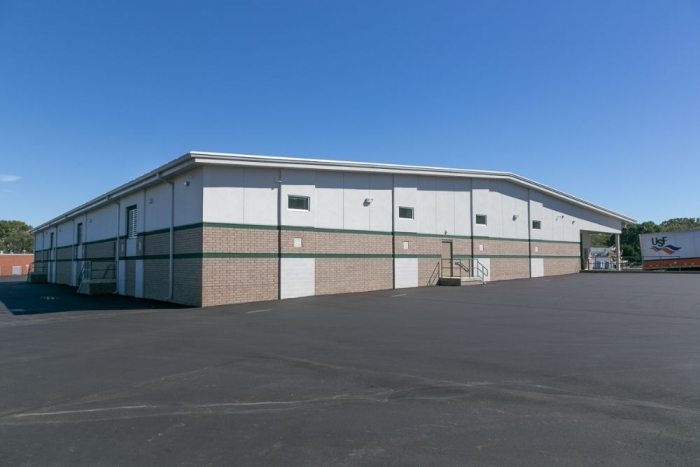 Brief Description New addition consisting of meeting rooms, offices, kitchen and laundering facilities and a four bay vehicle garage. 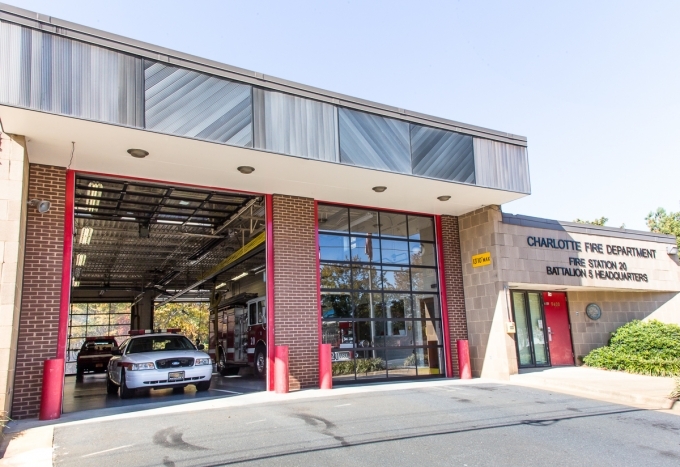 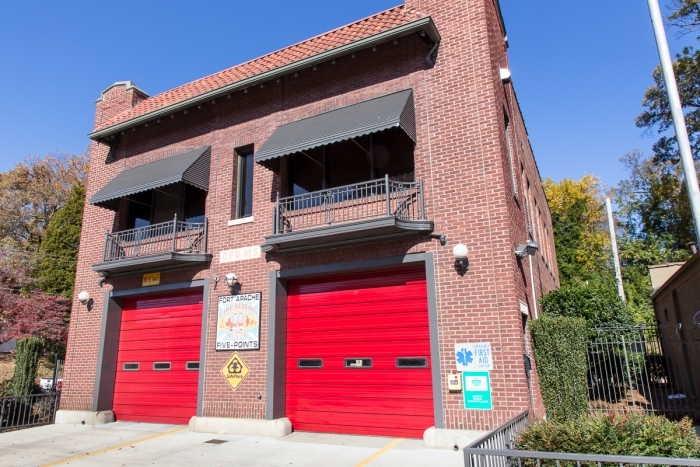 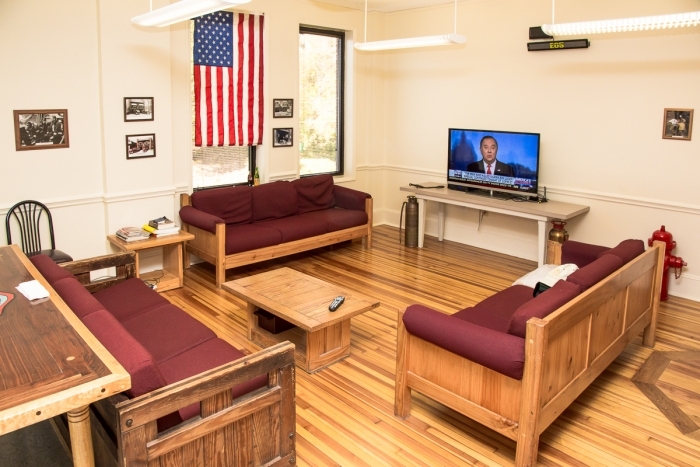 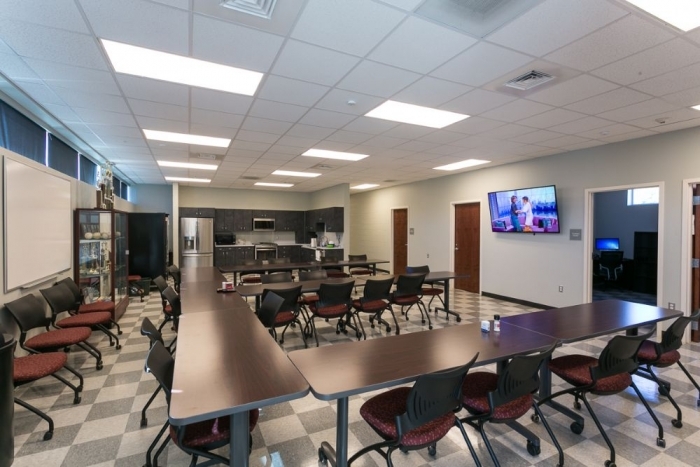 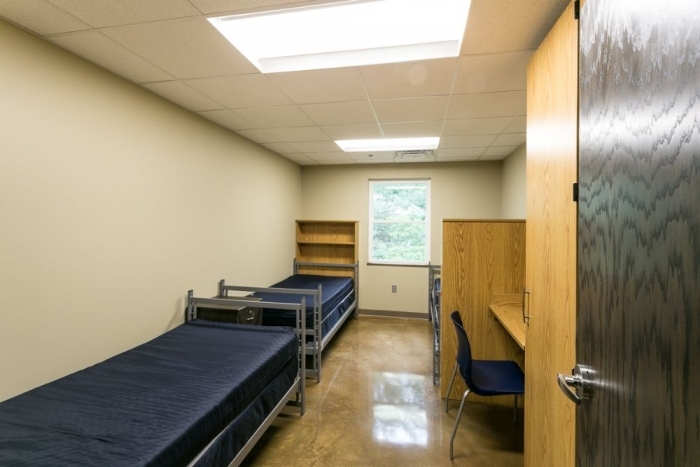 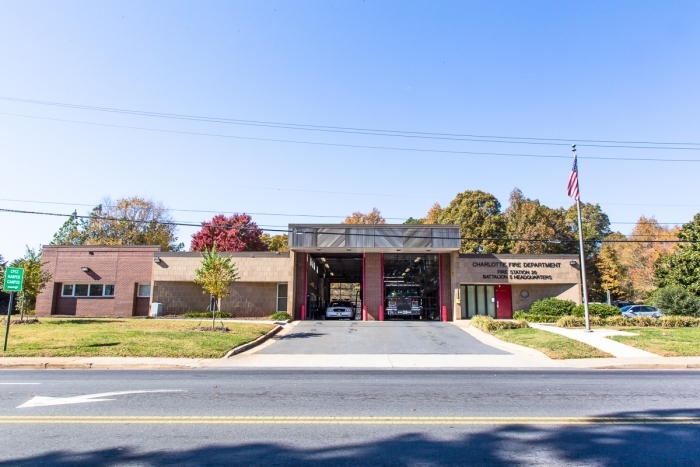 Brief Description Addition and Renovation to the Fire Station including updating the existing Sleeping Quarters, Kitchen/Lounging Areas, and Training Room. 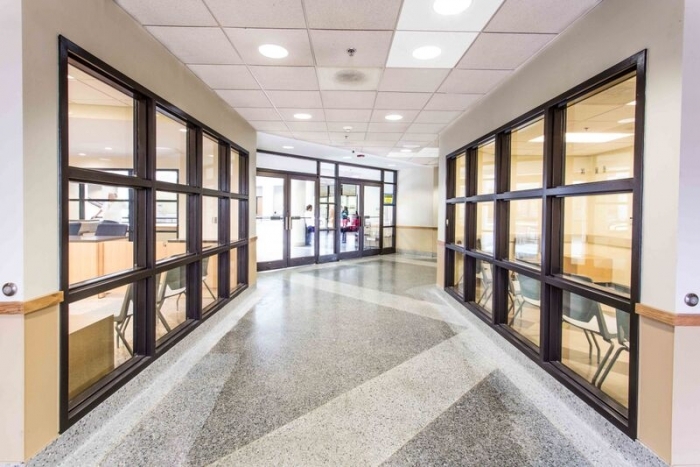 Including new MEP System, Hardwood Floor System and new exterior windows and doors. 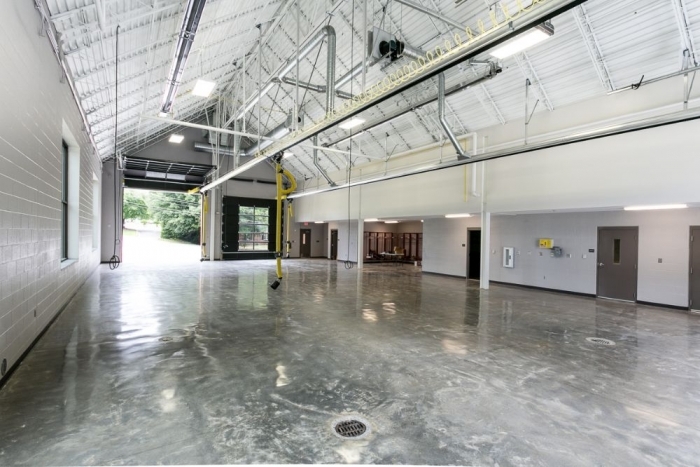 Brief Description The General Scope of Work included an 57,000 sqft of interior finishes and replacements, repair and replacement of miscellaneous doors and hardware, gypsum board work, exterior caulking and sealing, repair and replacement of limited plumbing systems, repair of existing and addition of new mechanical systems and units, and repair and replacement of electrical systems and lighting. 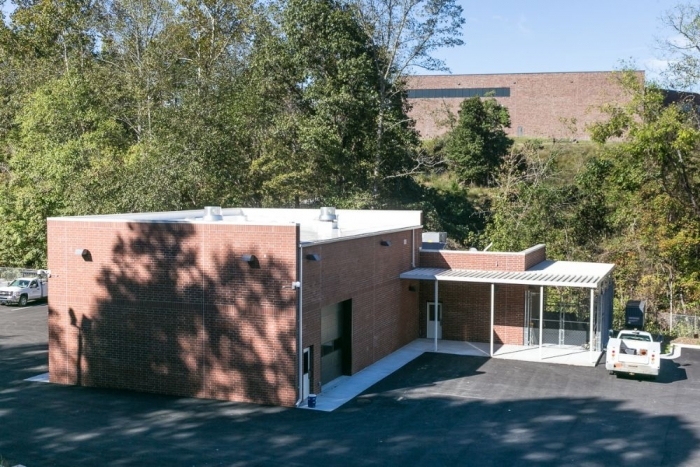 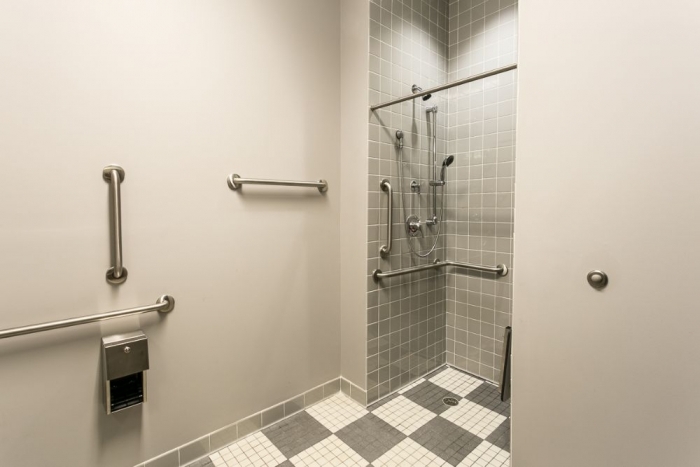 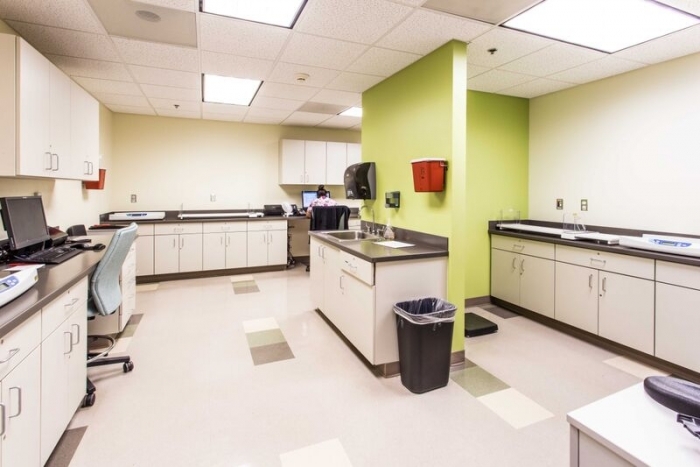 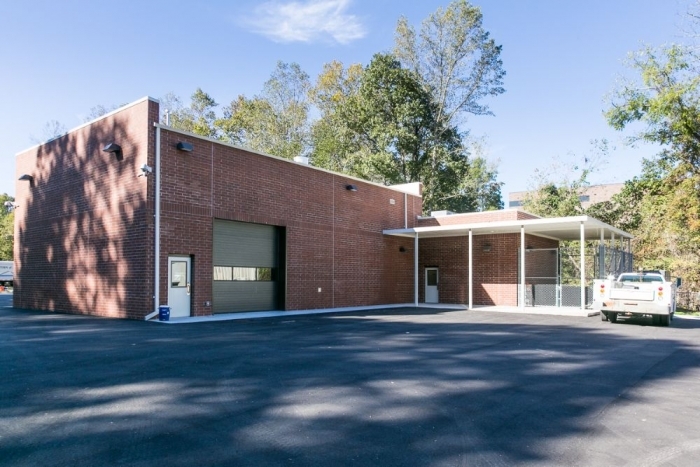 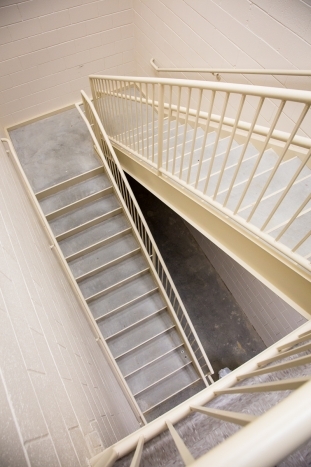 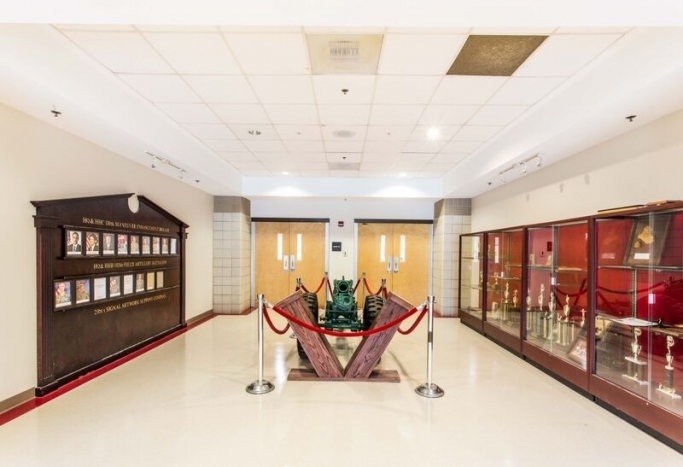 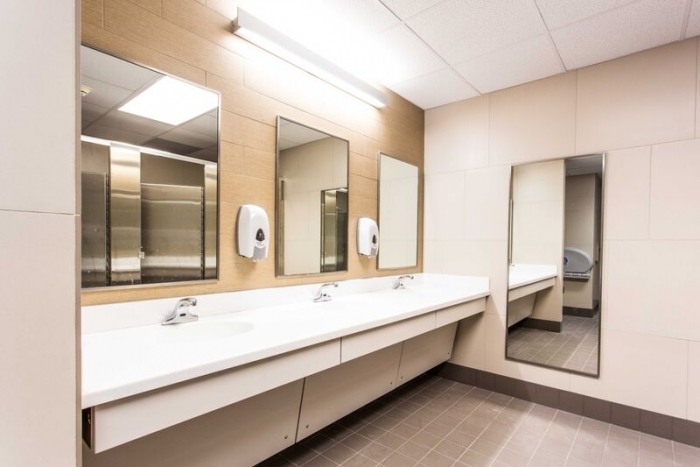 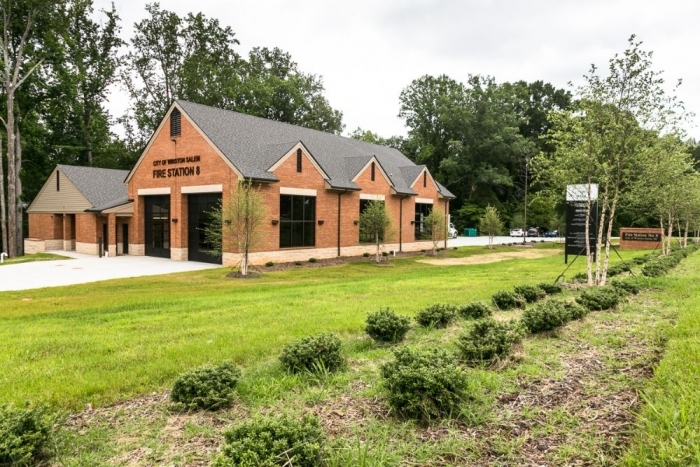 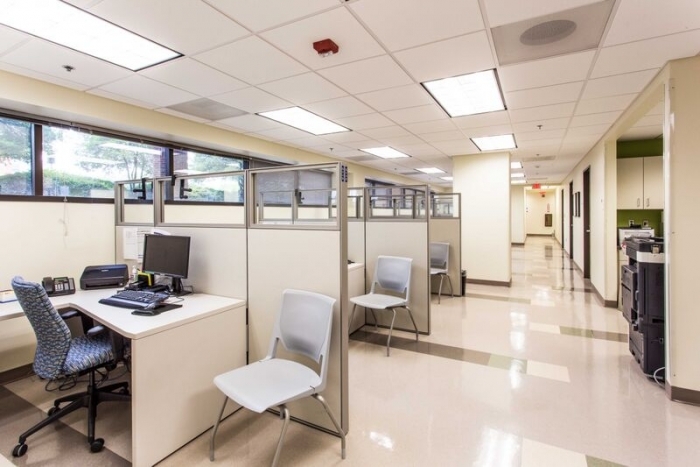 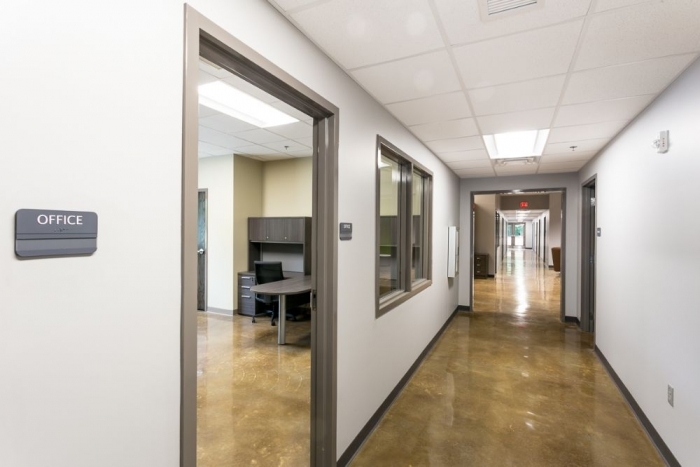 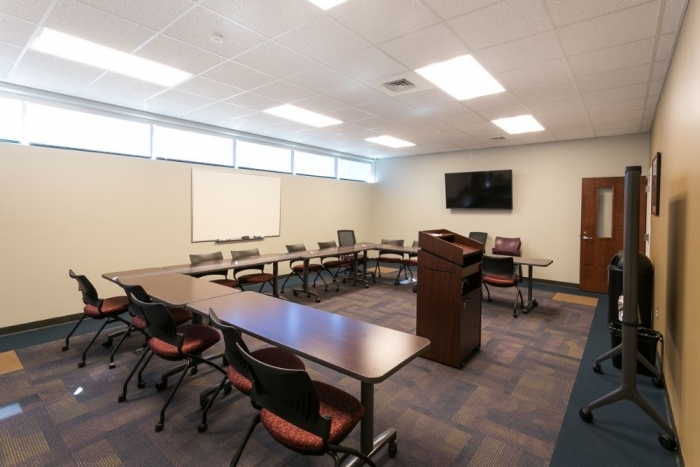 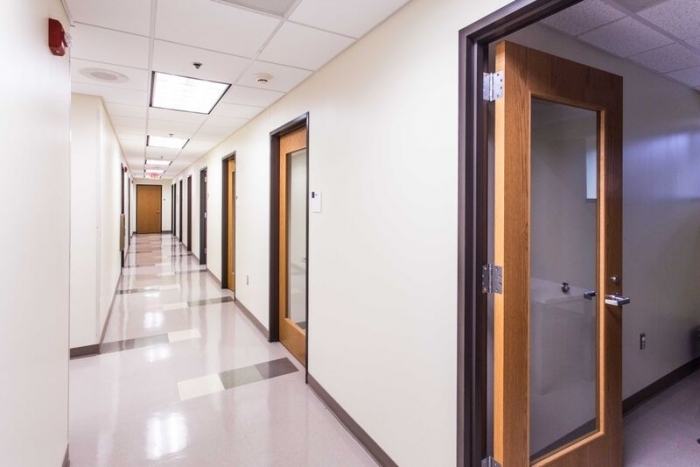 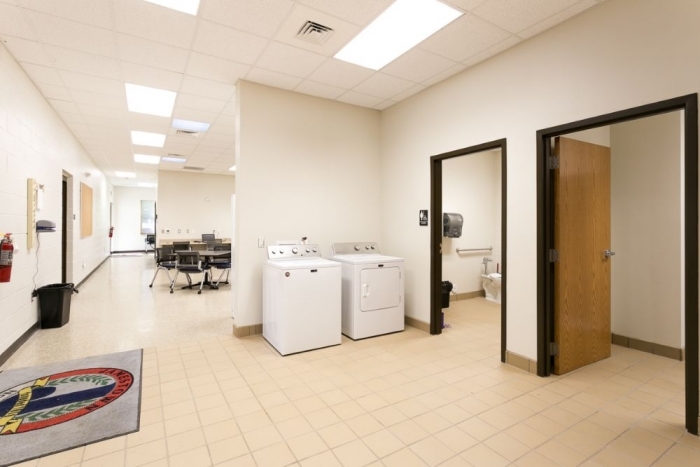 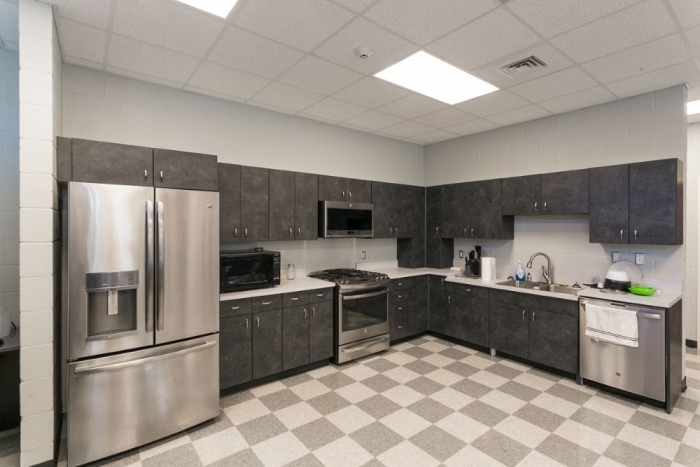 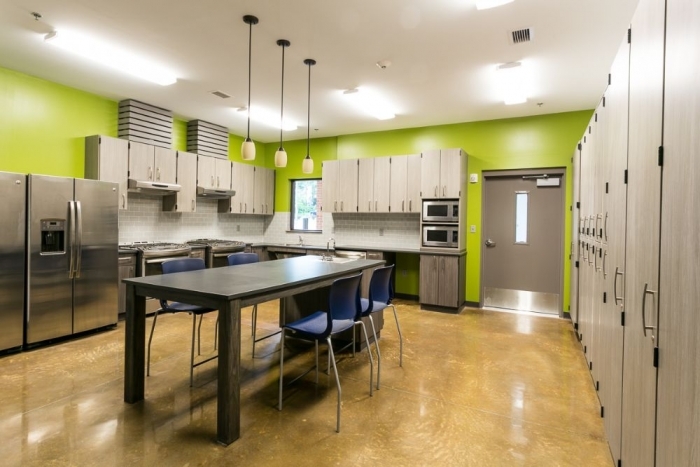 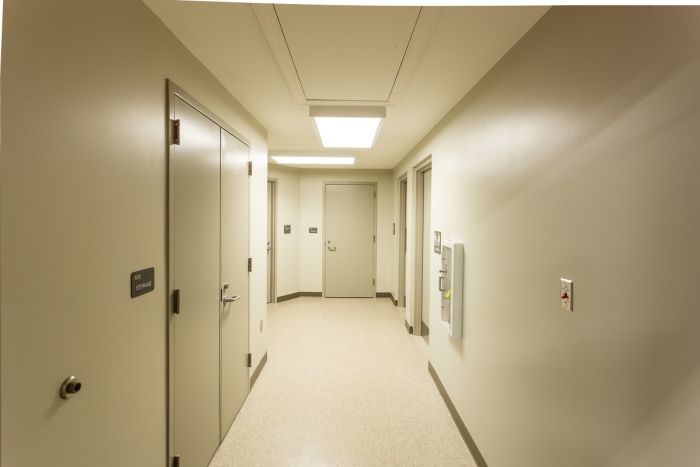 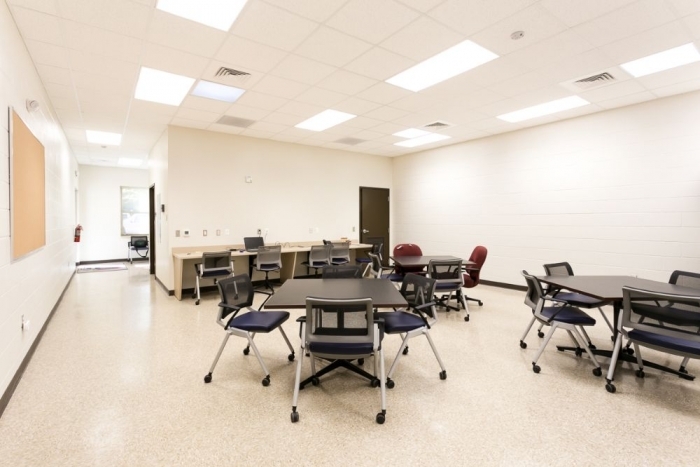 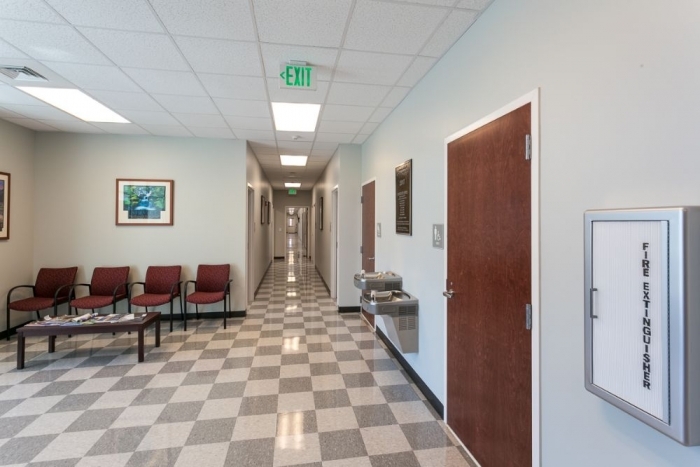 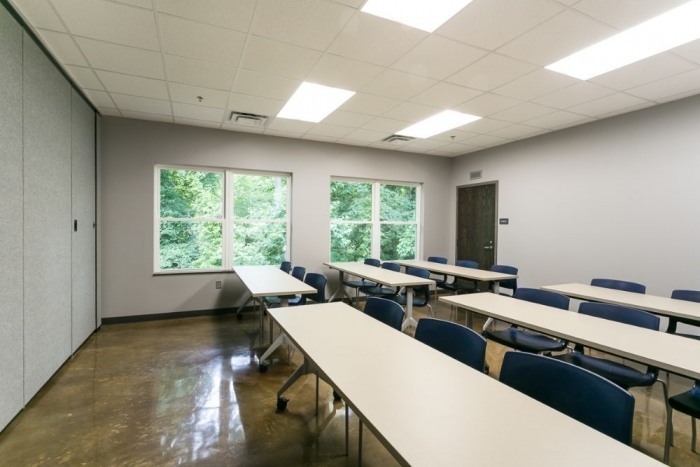 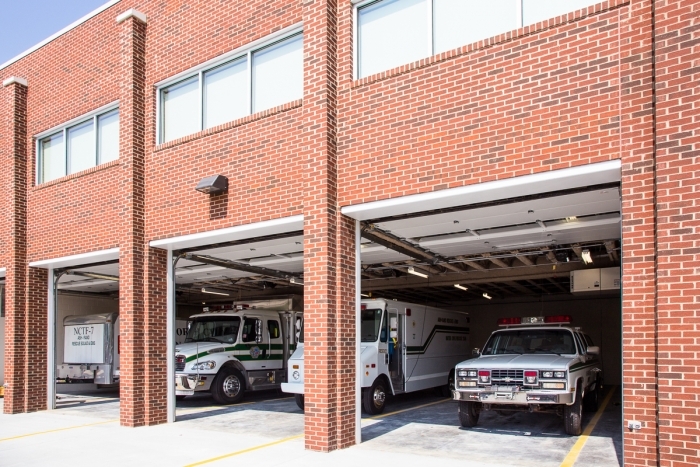 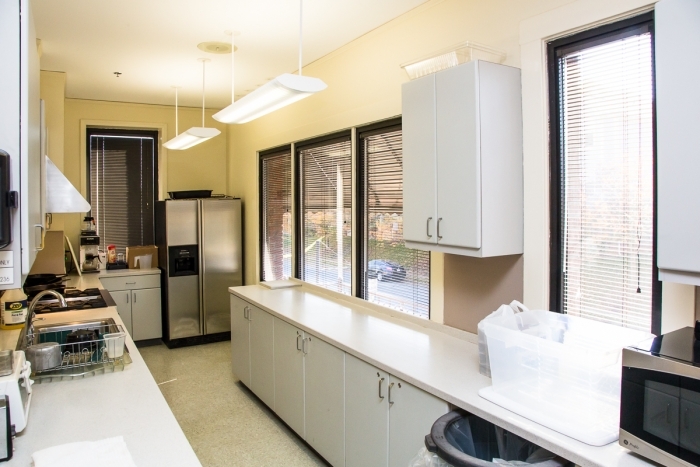 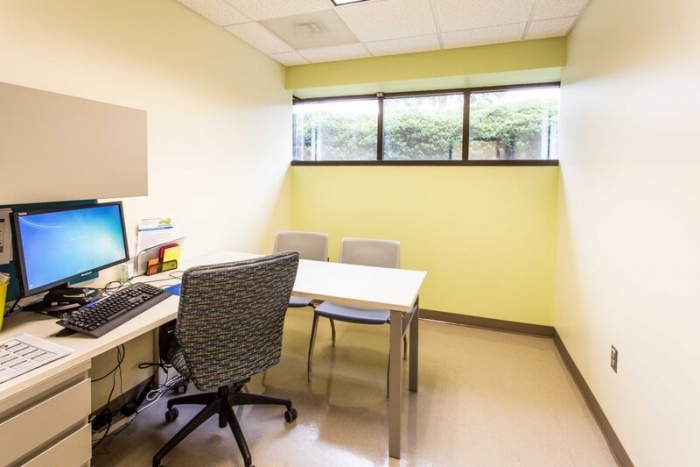 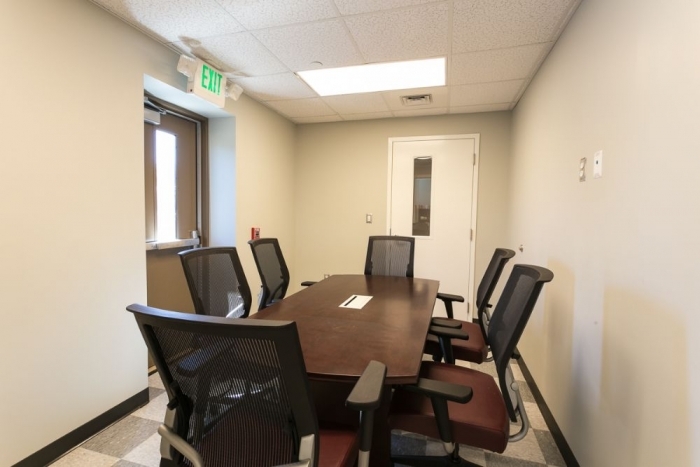 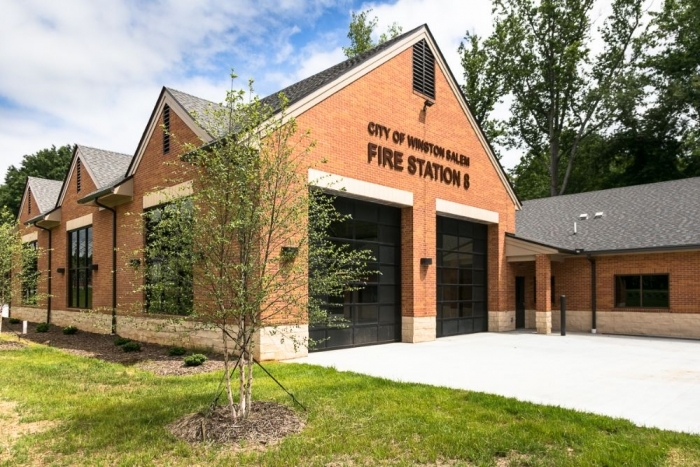 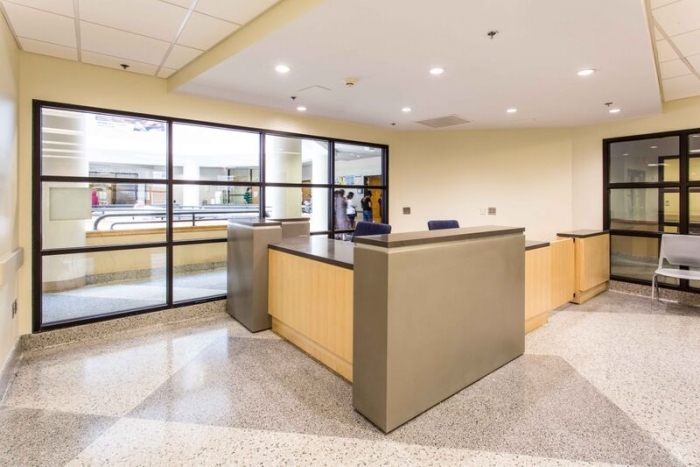 Brief Description The General Scope of Work included an 11,285 sqft of interior renovation of an existing public health building owned and operated by Wake County. 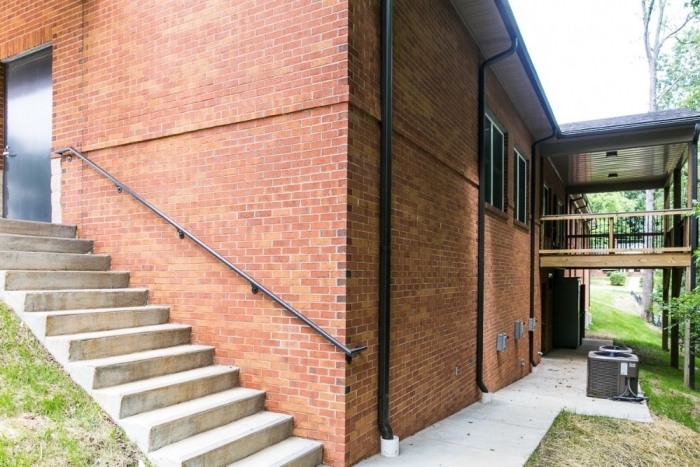 The renovation is on the ground and first floor and includes demolition, architecture, M/E/P/FP. 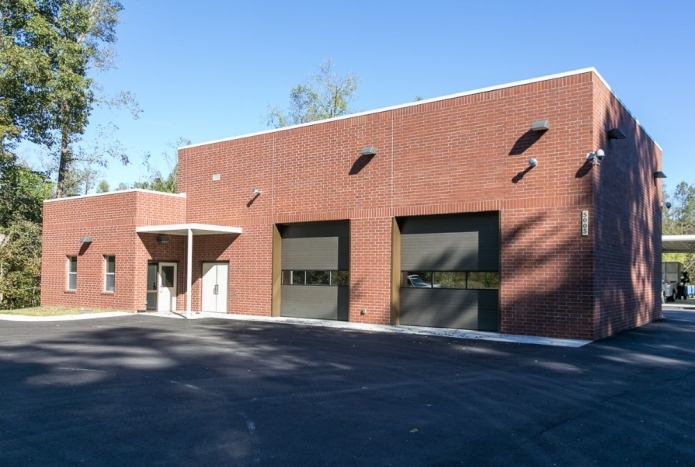 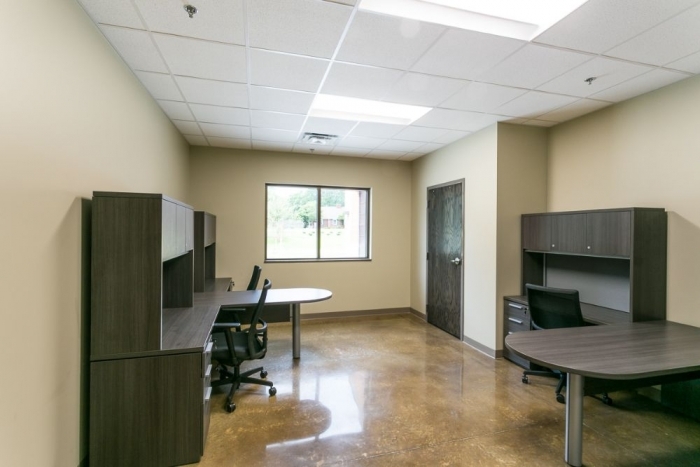 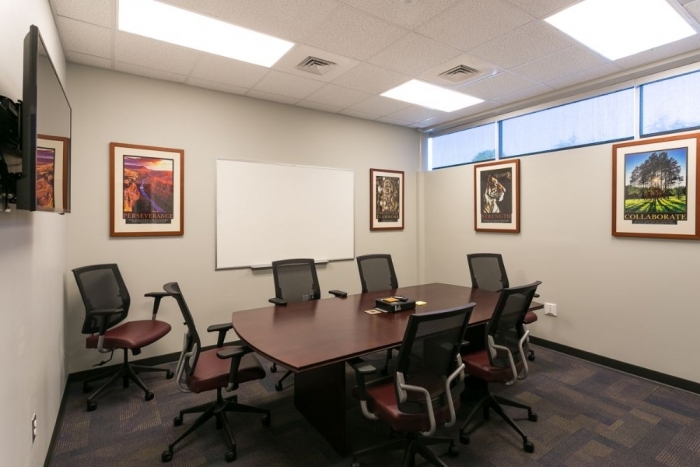 Brief Description The work is generally described as a new 8,000SF steel framed office building with EIFS and utility brick exterior finishes. 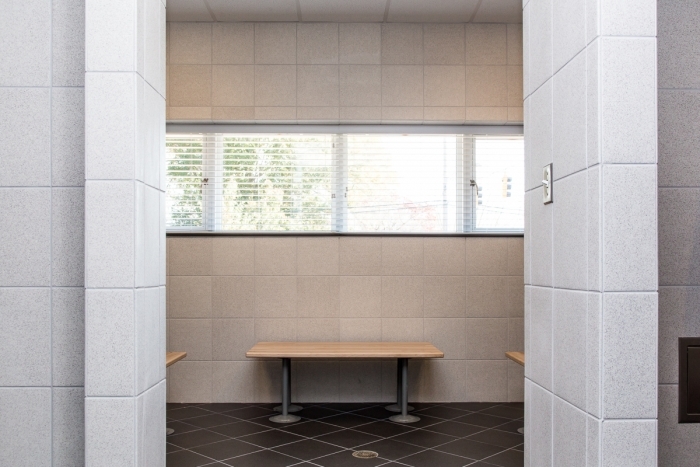 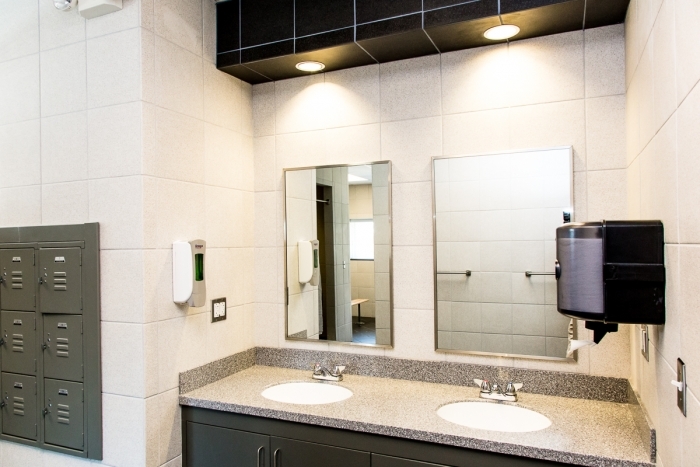 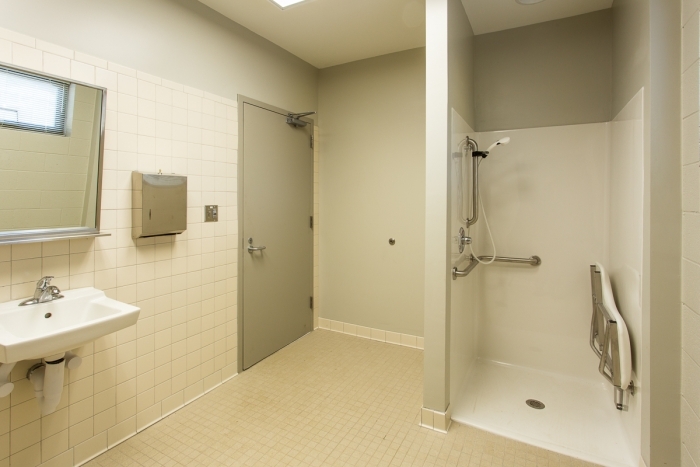 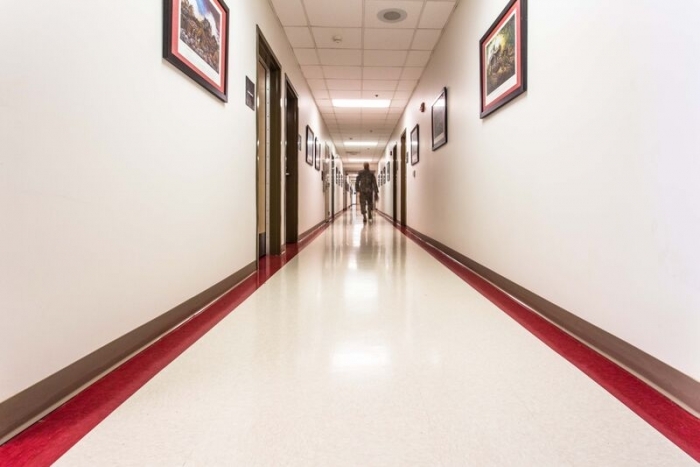 The interior spaces included offices, work rooms, crew rooms, toilets and showers along with new MEP systems. 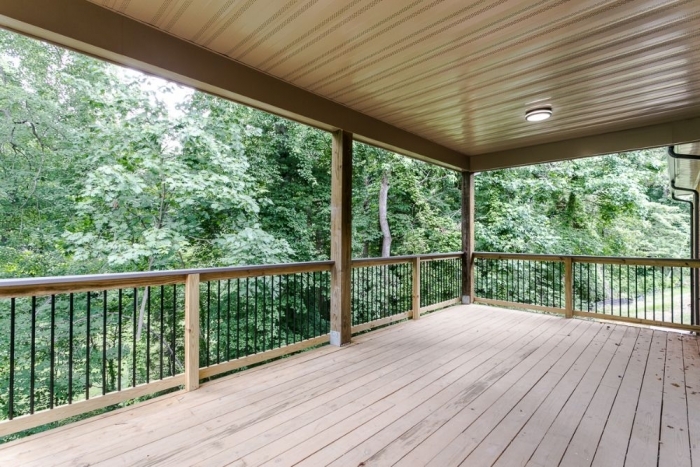 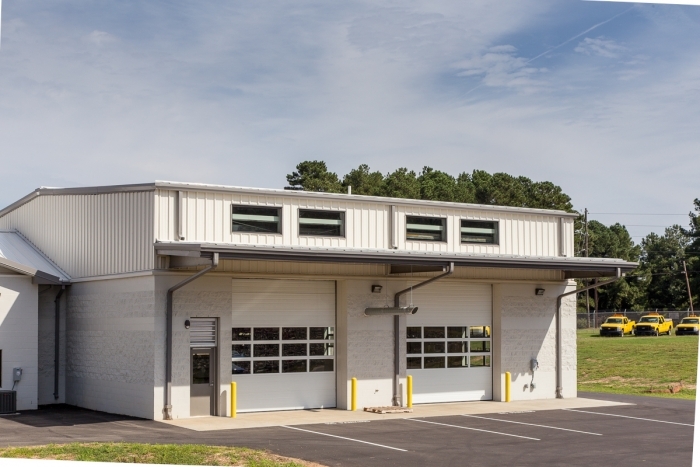 The exterior consisted of storefront window system along with new metal joist and TPO roof system. 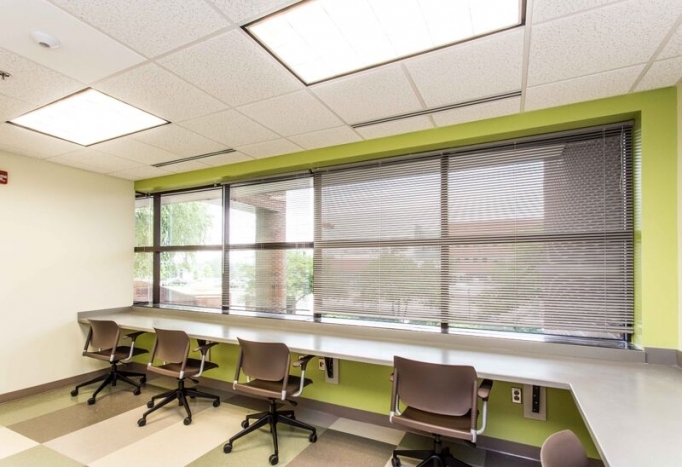 The finishes included vct, carpet, ceramic tile, acoustic ceiling systems, and lighting throughout. 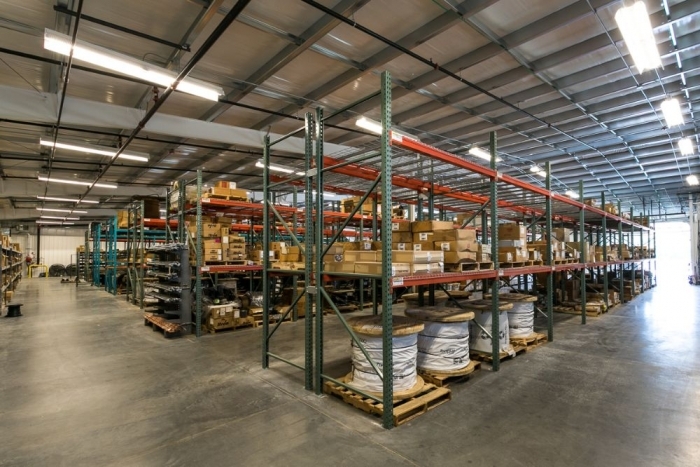 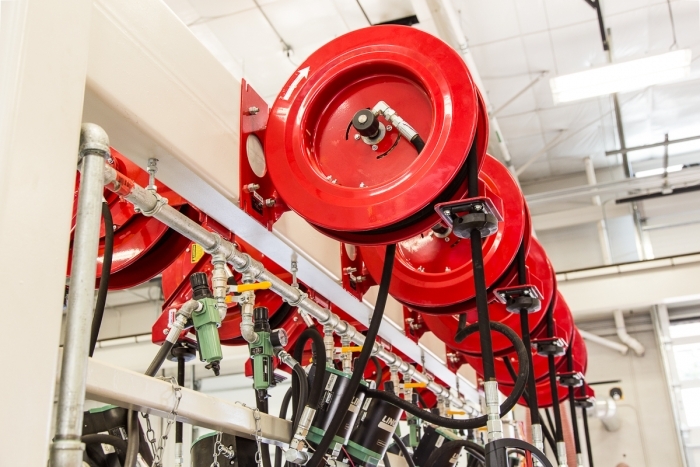 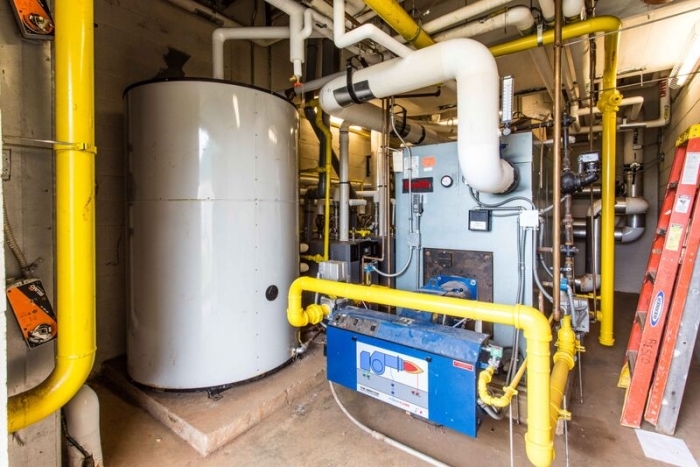 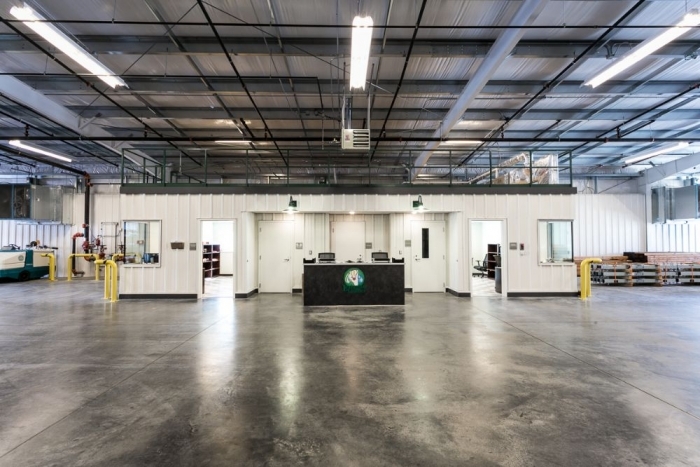 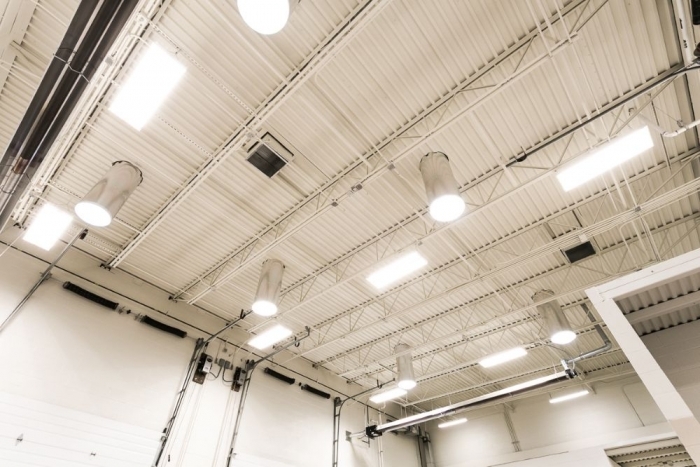 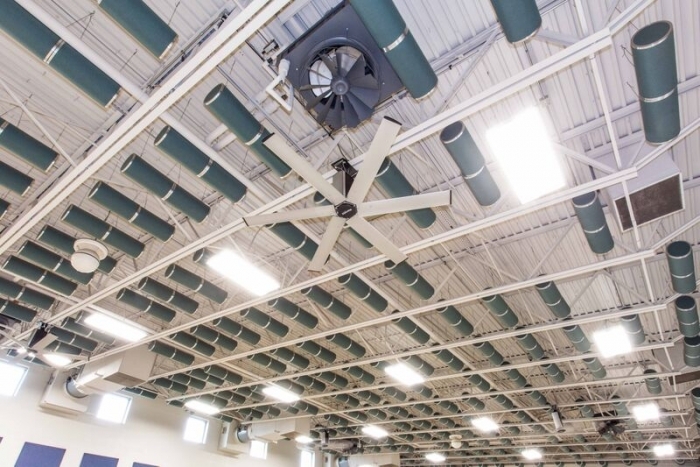 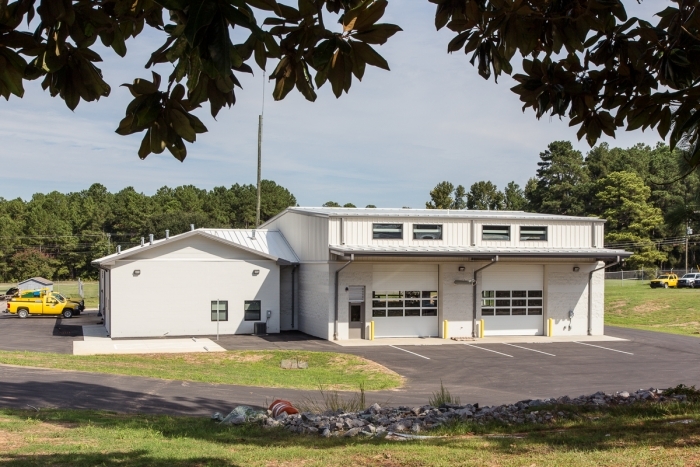 This project included an approximate 22,000 SF warehouse facility that included conditioned office spaces and new MEPS systems along a new fire suppression system. 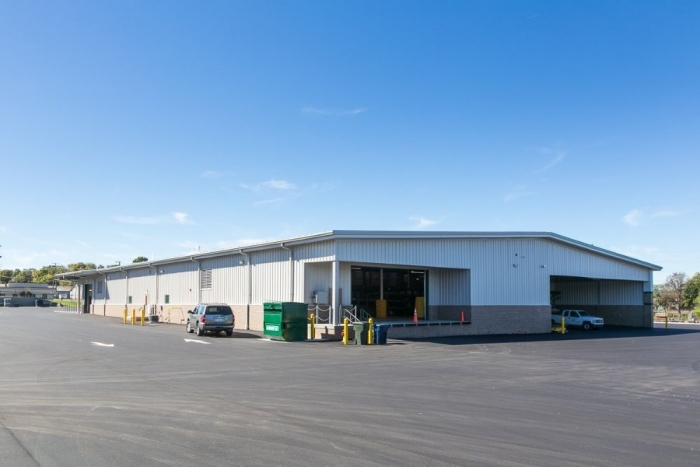 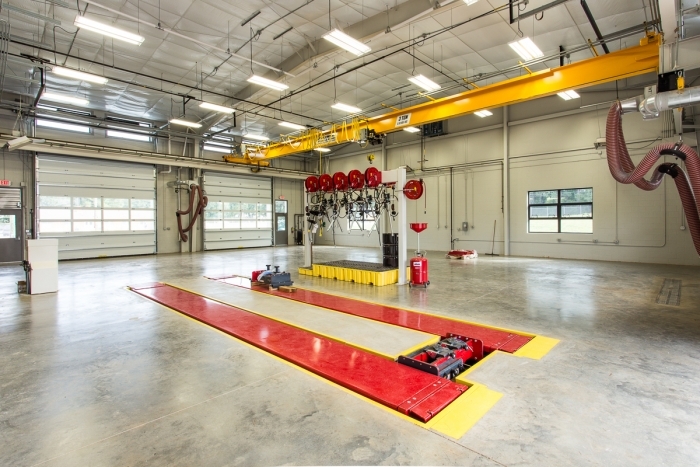 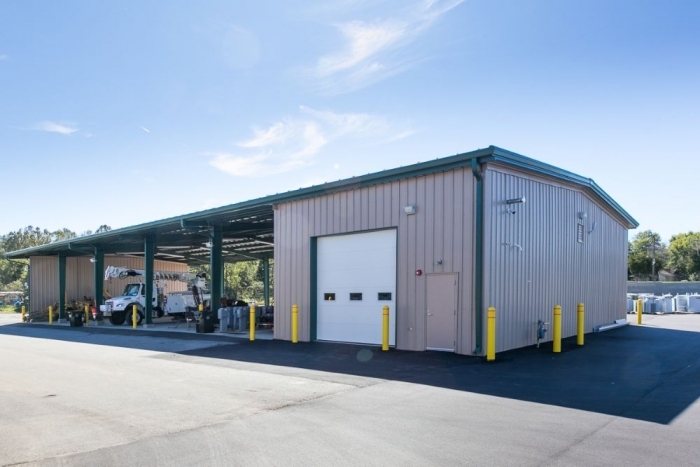 This scope also included approximate 8,000SF vehicle shed with an enclosed maintenance shop. 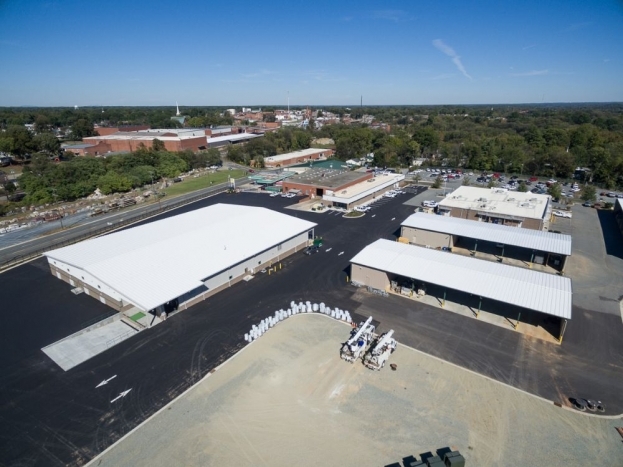 The site included new utilities systems landscaping, fencing enclosures, retaining walls, and pavement for an approximate 5.5 acre site. 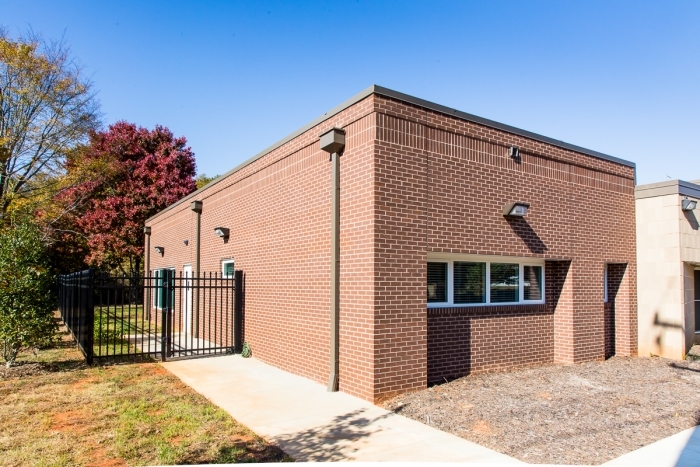 Brief Description The project consists of a 4,000SF new masonry framed office building with utility brick as exterior finishes. 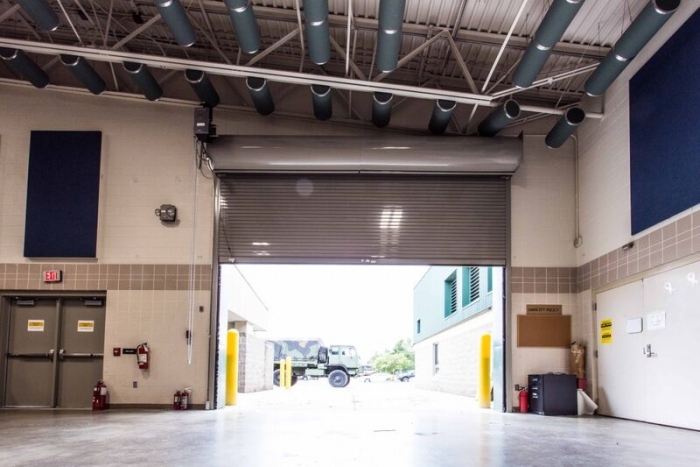 The interior spaces included offices, work rooms, crew rooms, toilets and showers along with new MEP system and enclosed shop to for vehicle maintenance. 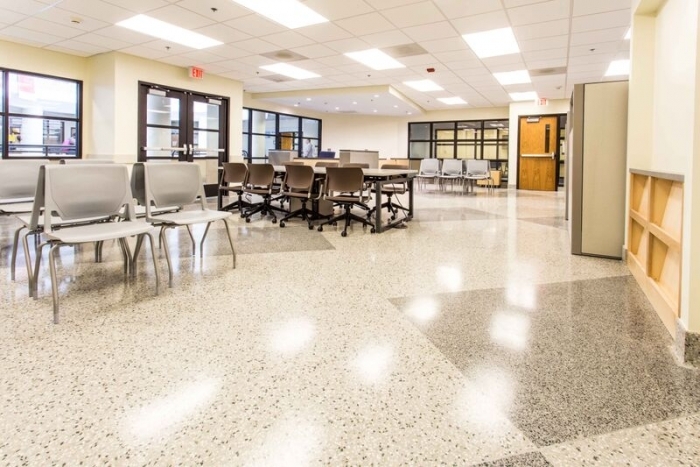 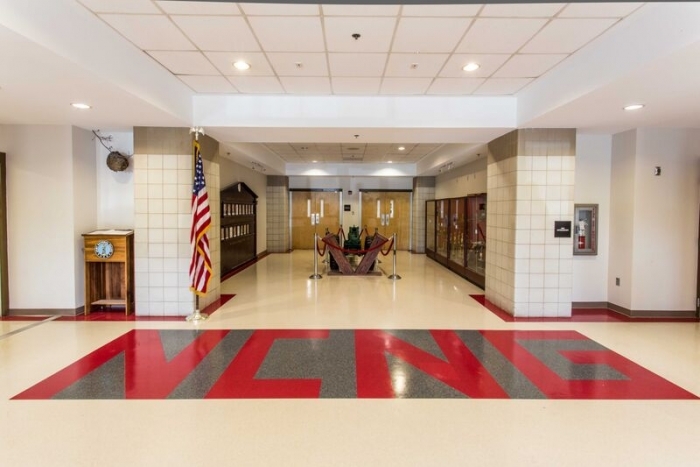 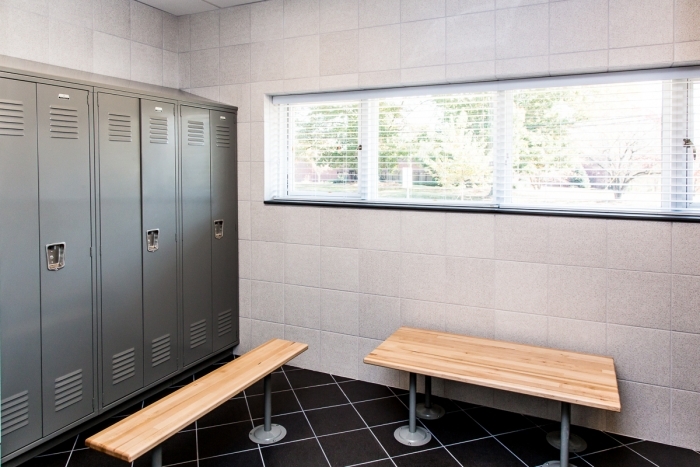 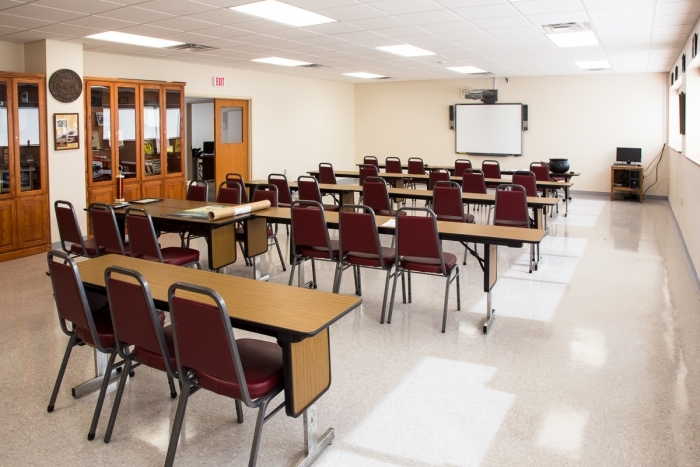 The finishes included new epoxy floor system, vct, ceramic tile, acoustic ceiling systems, and lighting throughout. 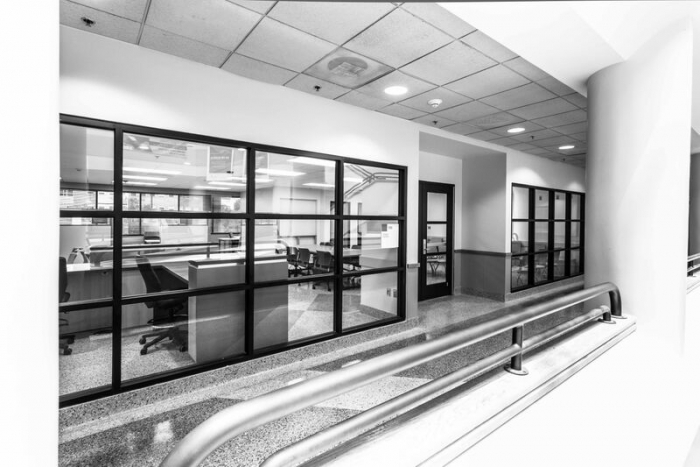 The new building exterior consisted of storefront window system along with new metal joist and TPO roof system. 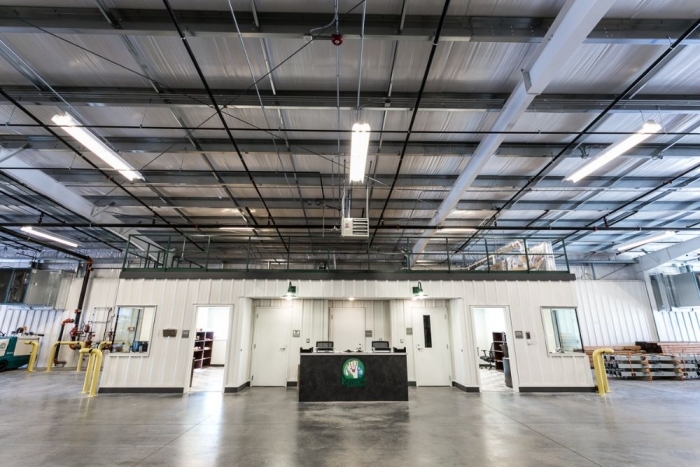 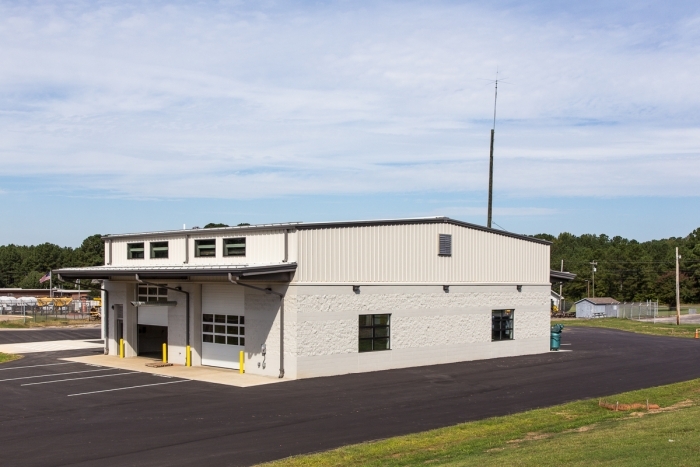 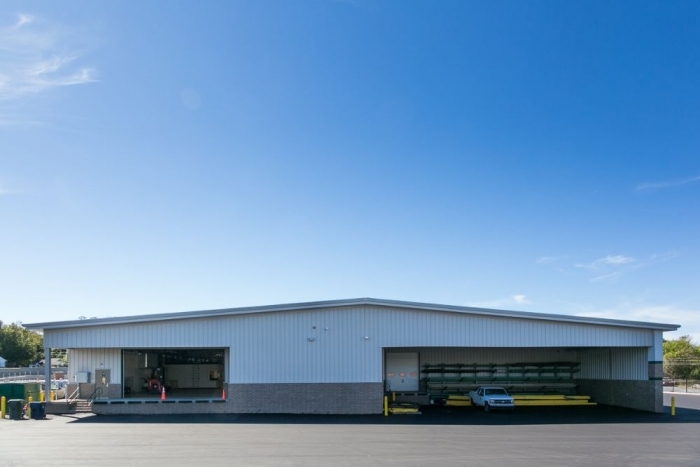 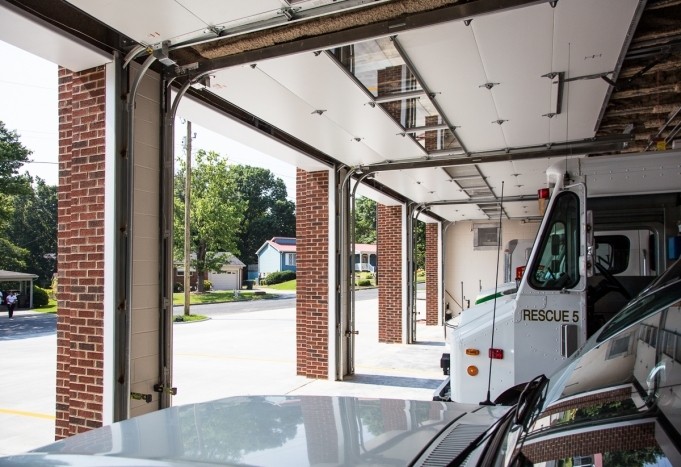 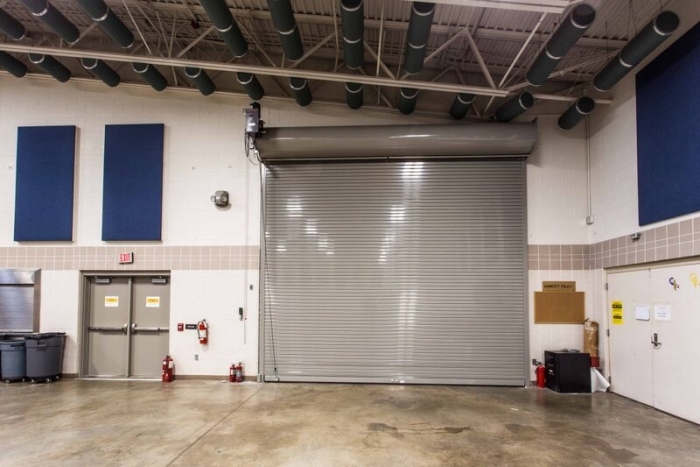 This scope also included approximate 5,000SF equipment shelter and included renovation of an existing 2,000SF Maintenance building. 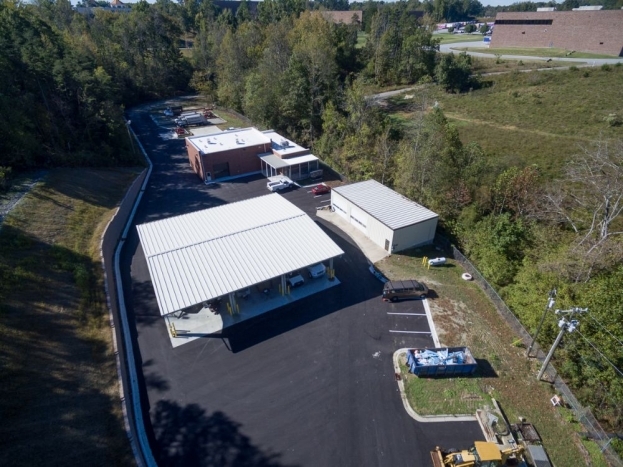 The site included new utility system, landscaping, walkway canopy, fencing enclosures, retaining walls, curb/gutter and pavement system for an approximate 4 acre site. 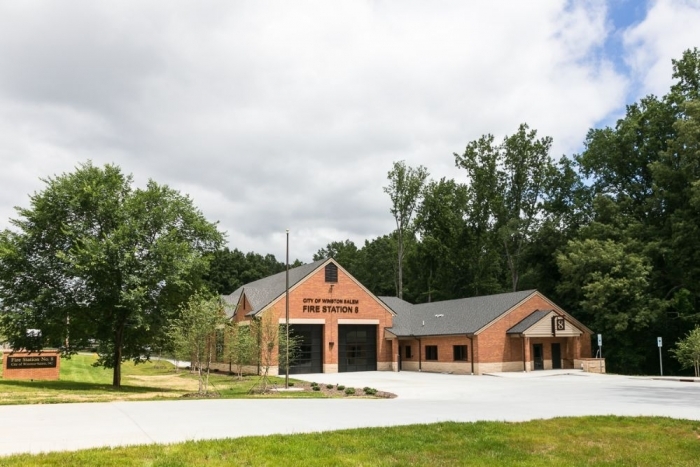 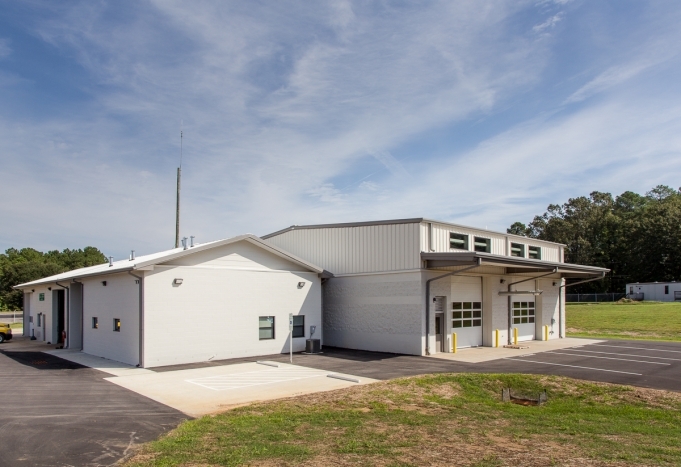 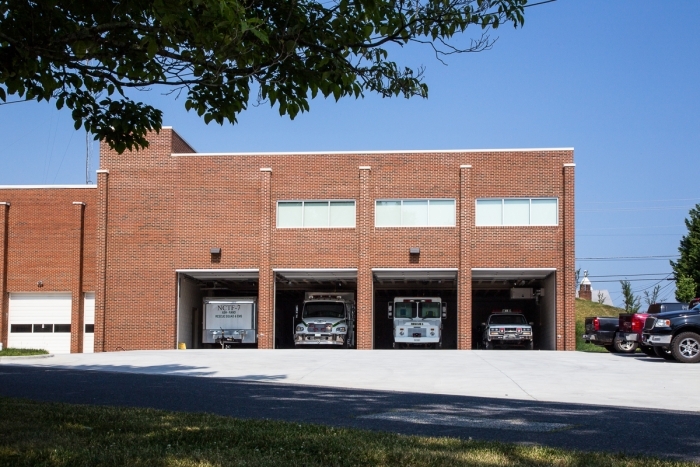 Brief Description The project consists of the construction of an new 10,000SF two apparatus bay masonry framed fire station facility. 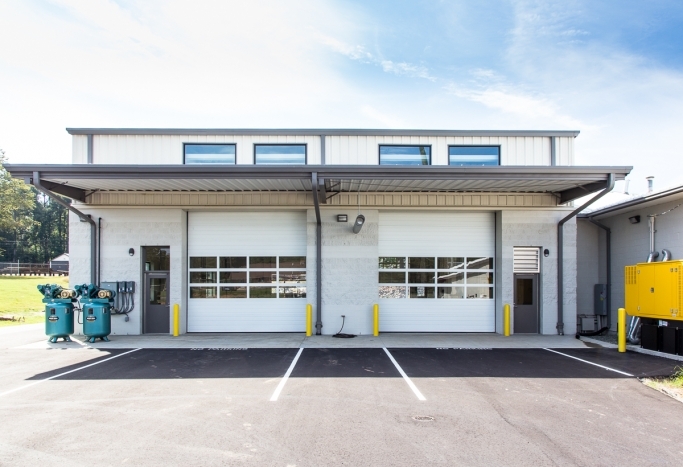 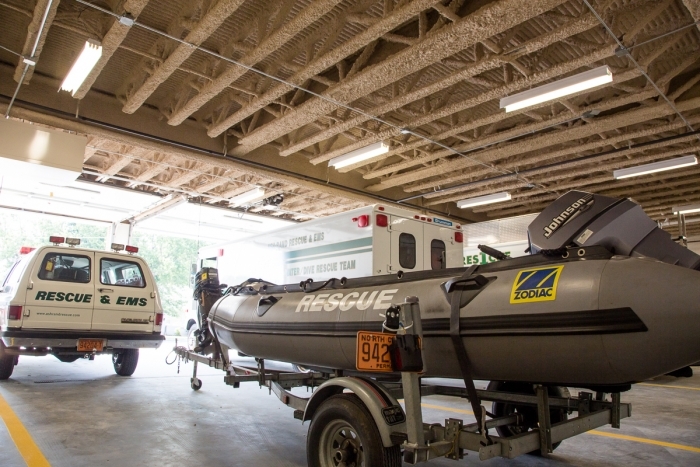 The interior included new fire suppression, mechanical, plumbing, and electrical system. 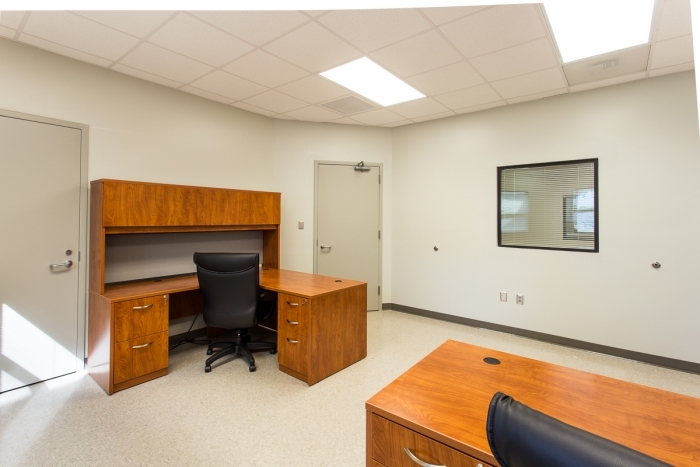 Also on the interior new offices, work rooms, fireman gear storage areas, washrooms, training rooms, exercise rooms, bedrooms along with furniture, kitchen/dining area, toilets and showers. 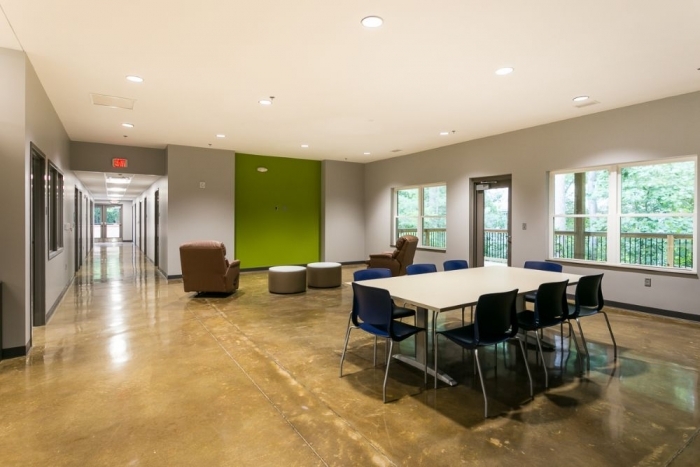 The finishes included LVL Floor system, stained floors, polished floors, ceramic tile, acoustic ceiling systems, and lighting throughout. 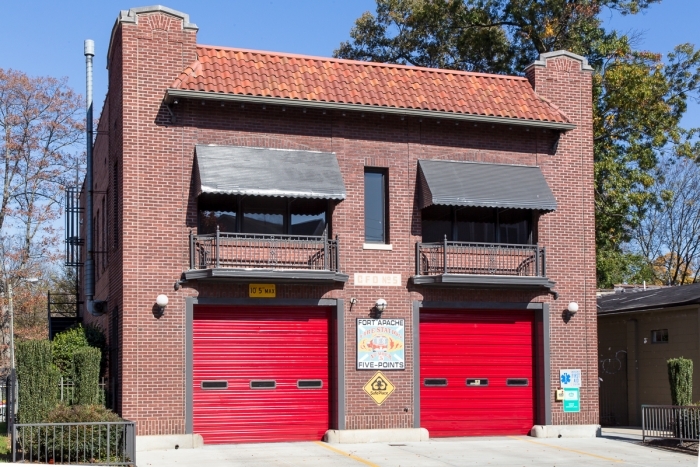 The exterior consisted of storefront window system along with new metal joist/trusses and shingle roof system. 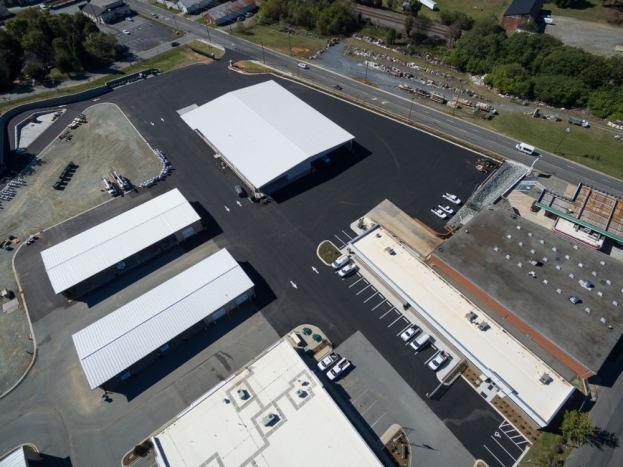 The site consisted of new lighting, concrete paved parking lot, hardscapes, and landscaping.